Whether you need to illuminate large or small areas, our range of lights and torches from popular brands Milwaukee, Defender, Ryobi and Kielder are sure to be able to tackle the job. For illuminating large work areas the Milwaukee Compact Site Light is ideal with its 4,400 lumens but can also be used in confined areas when the lumens are turned down to 1,000. 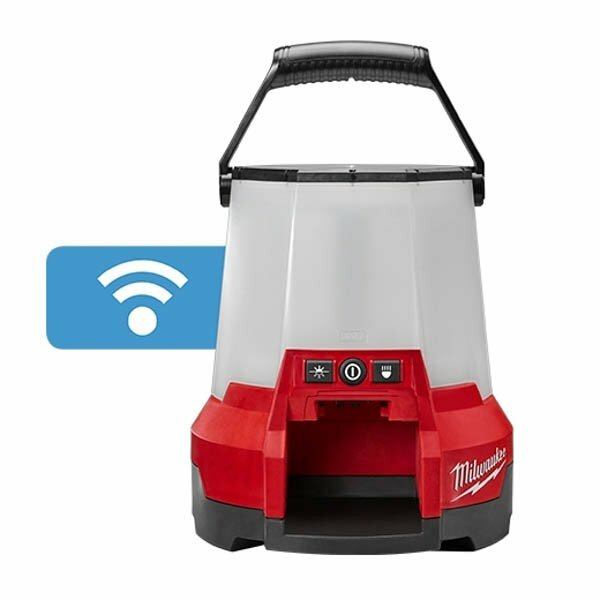 You can also use the Milwaukee Flood Light which has 8 high-quality LEDS. Milwaukee also offer x2 Torches available in 12v & 18v and have 135° rotating head for direct lighting. For lighting hands free in almost any location, the Ryobi ONE+ cordless folding area light is ideal to use which provides up to 850 lumens of illumination with 20 white LED’s. Ryobi also offer lighting for large work spaces with the Ryobi Hybrid Area Light which has 1,700+ lumens of light, directed by a 360° rotating head. For lighting small areas or for camping trips or lighting a project in a dimly lit workshop, the Ryobi ONE+ torch is ideal to use with its powerful 4,000 Lux illumination. For a multi-positional, pocket sized ultra bright LED work light, the Kielder professional work light is perfect to use which features switchable lens focus which allows for wide spread or narrow beam of light. If you’re searching for battery operated lights or rechargeable torches, then look no further. An essential piece of equipment to be taken to every job, at SGS Engineering, we have a range of portable light options available. Click on our selection of LED torches and portable flood lights below for more information. Boasting a large range of high power torches, we are proud to offer Milwaukee lights, Ryobi lights and Kielder lights. Whether you’re looking for cordless portable LED lights, light pens, high power LED torch flashlights, area lights or LED headlamps, you’ll find these lights and more in our collection. Choose the Milwaukee HL-LED Slim Headlamp that boasts 6 different adjustments for the perfect angle, 4 clips for mounting, and is dust and weatherproof, making it one of the best headlamps available. If you’re looking for a quality LED torch, we offer Milwaukee torch bodies in 12V and 18V options that can be used hands-free, have a rotation of 135 degrees, and are sealed to protect against impact. Alternatively, if you’re looking for the best rechargeable torch for the job, we have bundles available that include torches, batteries and chargers. Also available are a selection of Milwaukee and Ryobi 18V area lights, with different models offering 360 degree rotating heads, folding positions, wall mounting, or the ability to withstand severe weather. Why Buy Battery Lighting Online from SGS Engineering? At SGS Engineering, all of our battery lighting can be shipped the same day – as long as they are ordered before 4pm. Buy today and you will soon receive your battery work light, LED pen light, or Milwaukee 18V LED torch.